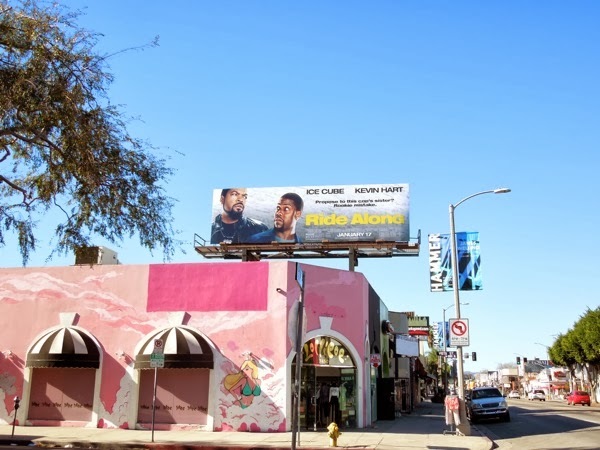 How's your New Year going so far? 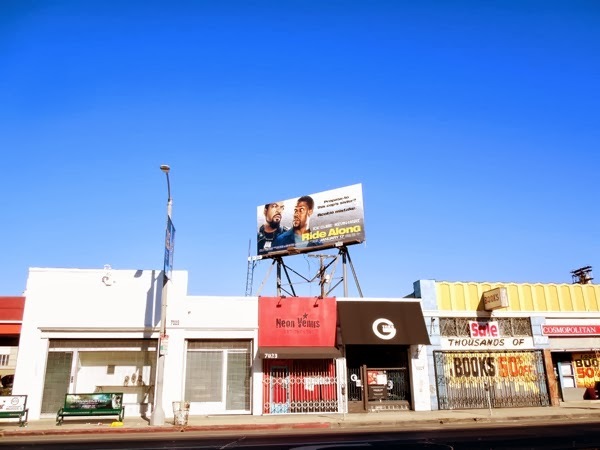 Are you ready for a few laughs, yet? 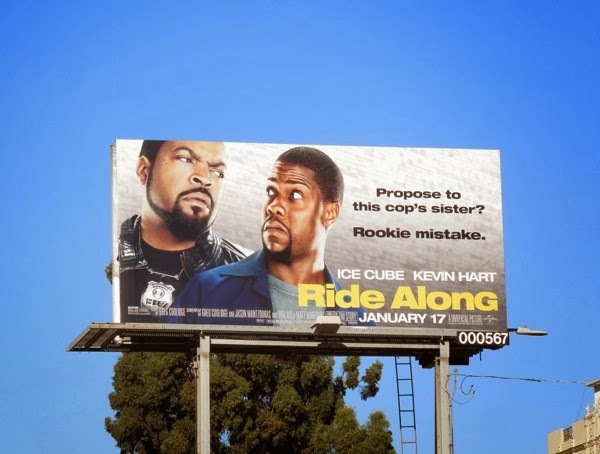 If so, maybe Ride Along is the comedy movie you're looking for. 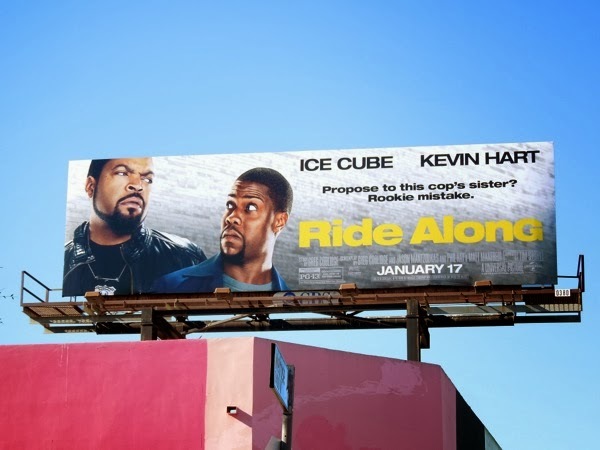 Ice Cube is giving the big brother evil stink eye in these ad creatives to Kevin Hart, who hopes to have his sister's hand in marriage. 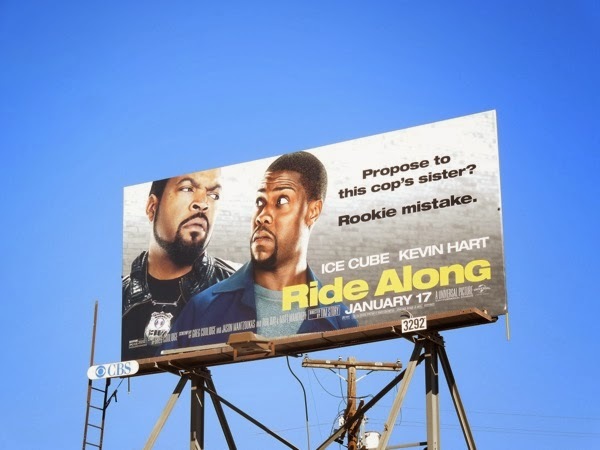 In the movie his fast-talking security guard joins his soon-to-be cop brother-in-law on a ride along, to prove himself worthy of his sister's affections. 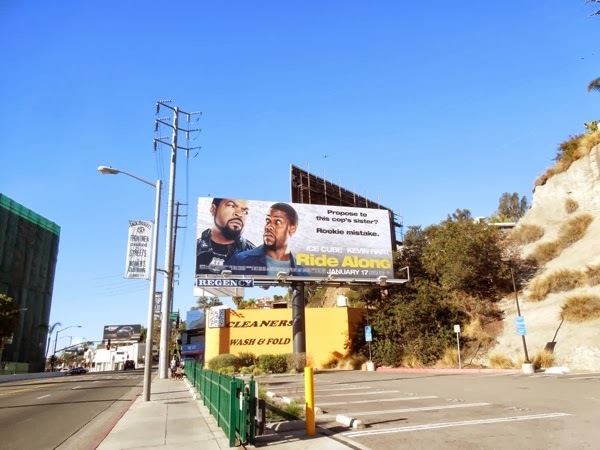 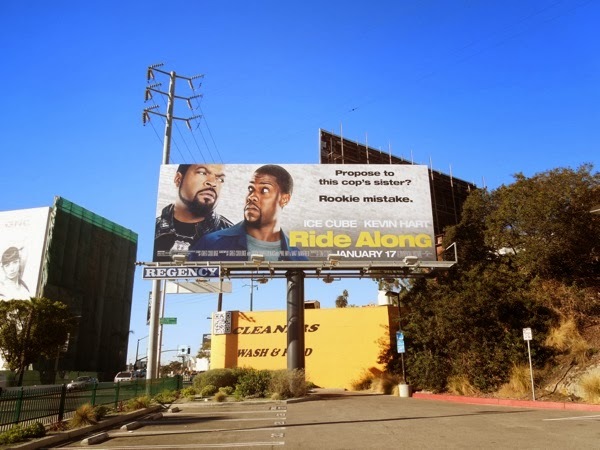 These Ride Along movie billboards seem to be all over L.A. at the moment, and were spotted along Highland Avenue, Sunset Boulevard and Melrose Avenue on December 23 and December 24, 2013. 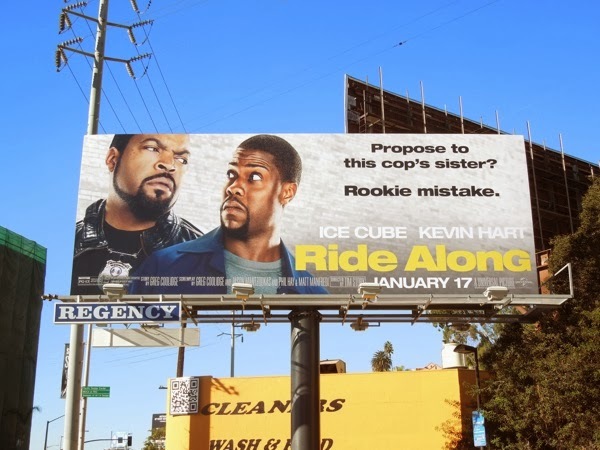 Will you be going along for the ride with this comedic duo, or do you think it'll be a rookie mistake to go and see this film?